A. Applicants must have ONE of the following in appropriate subject areas. 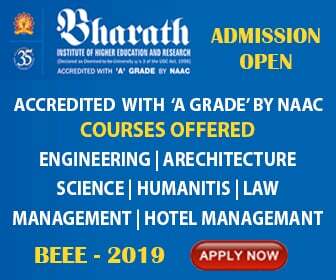 Bachelor’s degree in Engineering/Technology with first class or 60% marks or equivalent (55% marks for SC/ST). Master’s degree in science or equivalent degree, with first class or 60% marks or equivalent (55% marks for SC/ST). B. Applicants must also fulfil ONE of the following additional requirements. Valid GATE Score (as per department specific criteria). CPI/CGPA of 8.0 or more for BTech from an IIT. An ongoing degree may also be considered as a qualifying degree provided the applicant graduates before the MTech program starts. Department specific requirements are given in department specific criteria. Computer Science and Engineering : GATE score in CS/ EC/ EE/ MA/ PH if applicable Excellent programming skills. Applicants must fill out the online application form available at www.iitbhilai.ac.in. Payment of application fee has to be made through State Bank Collect only. After making the payment, SBI Collect will generate DU reference number (viz. DU12345678). This reference number will be required for adding the fee payment details.